From our entire team at VolThemes, we want to personally thank you for purchasing/upgrade Marlin Theme! If you have any question that is beyond the scope of this documentation, Please feel free to create a ticket on the Support Forum. This documentation covers everything you need to know to get the theme up and running in no time. Please read the documentation thoroughly. 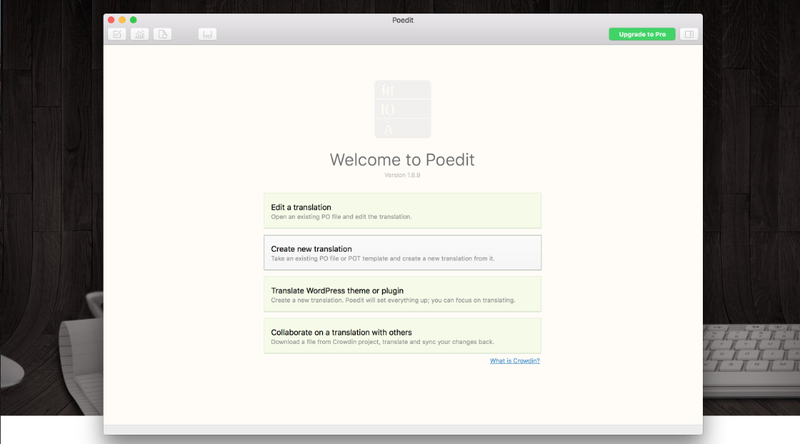 This theme required WordPress at least 4.3. It’s highly recommended that you have the latest version of your WordPress installed. 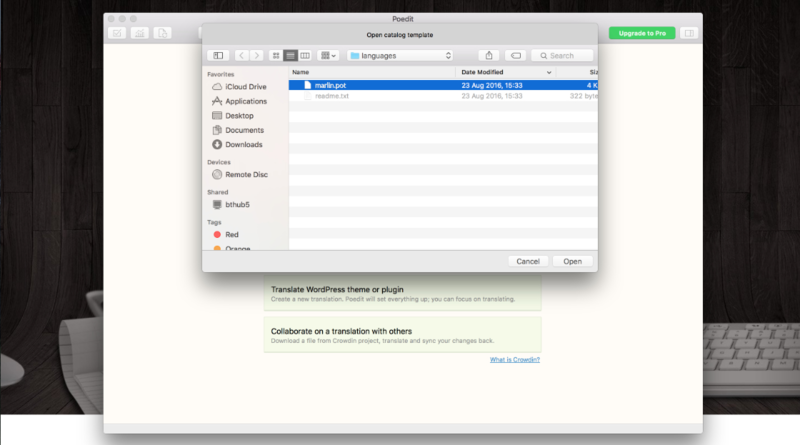 To install your new theme you must have a working version of WordPress* already installed. For information on how to install the WordPress software, please visit the WordPress Codex Installing WordPress. *Preferably the latest available version of the WordPress software. When you are ready to install your theme, you will need to extract/unzip the theme package first that you’ve download from Member area or Marketplace (where you purchase the theme). Make sure you are uploading only the installable theme (that inside the package you download which is called marlin.zip) through your WordPress admin section. 3. Choose the marlin.zip file and press ‘Install Now’. 5. Go to ‘WordPress Dashboard Appearance Customize‘ to get started customizing theme. 4. 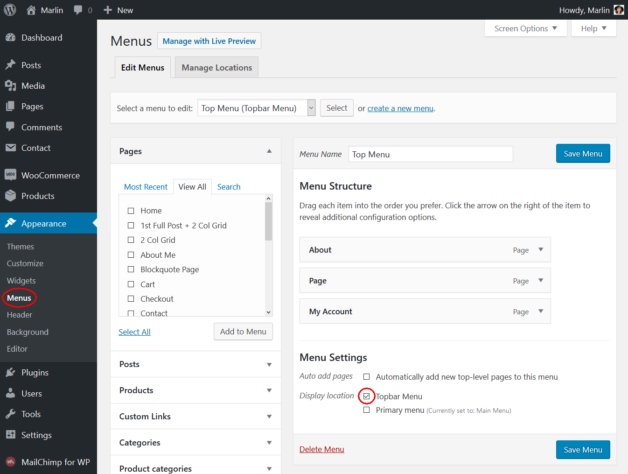 Go to ‘WordPress Dashboard Appearance Themes‘ section, Click Activate to use your new theme right away. It is better to use child theme as if you need to modify anything you modify in child theme only. This way you can easily update your parent theme whenever new update becomes available. Read more about Child Themes. We have attached a basic child theme to the download package which contains the minimum of required files. If you are planing any code customization we highly recommend to do this inside the child theme! Learn more about Using Child Theme. For minor CSS changes, you can also make use of the Custom CSS field inside the Theme Options Panel. A very simple and mighty tool. The advantage of this technique is quite simple. If you are running a theme update this data is stored inside the database and does not gets overwritten with the next update! To install child theme, you need to upload the marlin-child.zip and activate it in the same way as you uploaded and activated the parent theme’s marlin.zip. 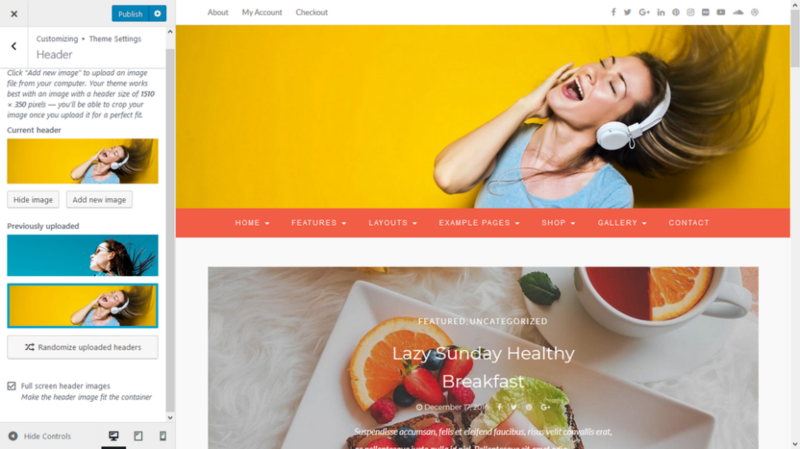 Once you have uploaded and activated your theme, you’re ready to set-up your brand new theme. 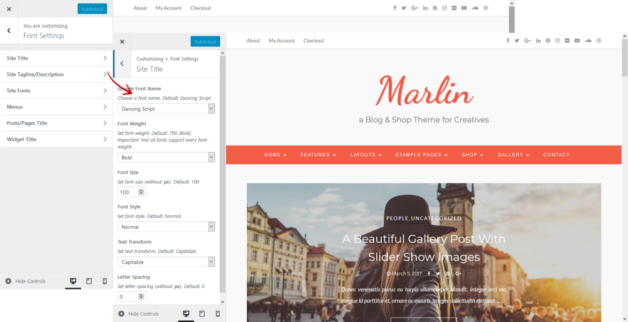 You’re one step closer to getting your site up and running with Marlin theme! 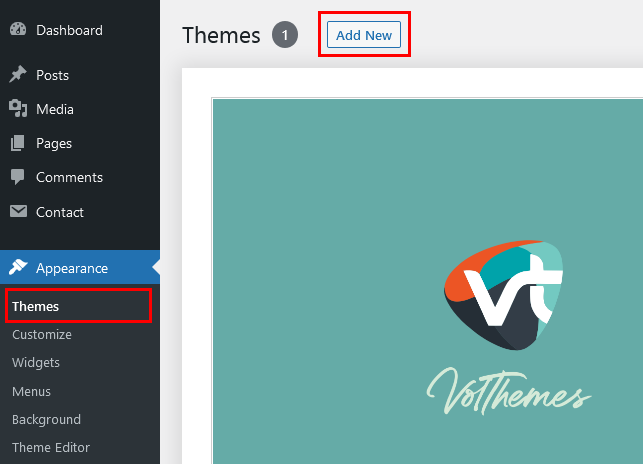 Once you have uploaded, installed, active and set-up your theme, you’re ready to start using your new theme! 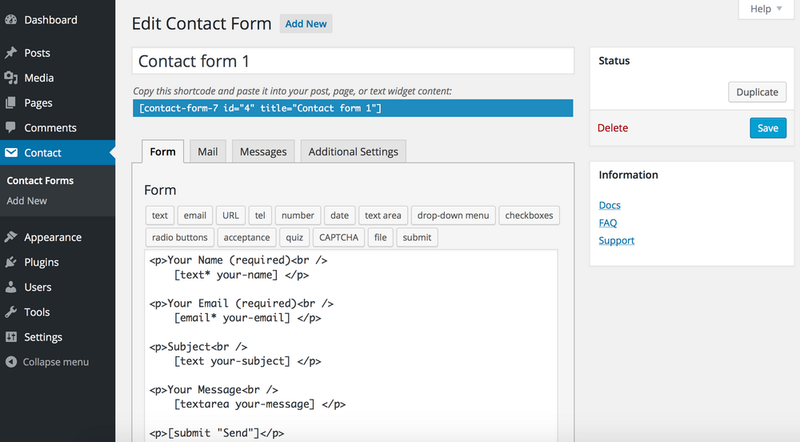 After you have installed and activated the theme, there’ll be a message of Required & Recommends plugins at the top of the WordPress dashboard. Click on Begin Installing Plugins and it will take you to Appearance Install Plugins. 4. 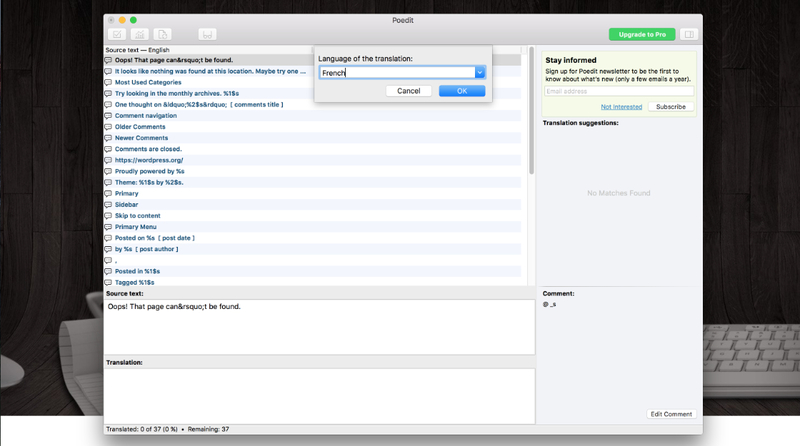 Select the “Pages” by clicking the check box next to each “Pages” that you want to include in the menu. Note: if you want a new menu just click “create a new menu”, then you can move the items from the left side. At the bottom “Menu Settings Display locations”, checklist the menu position you want to display “Topbar Menu or Primary menu” and click “Save Menu”. 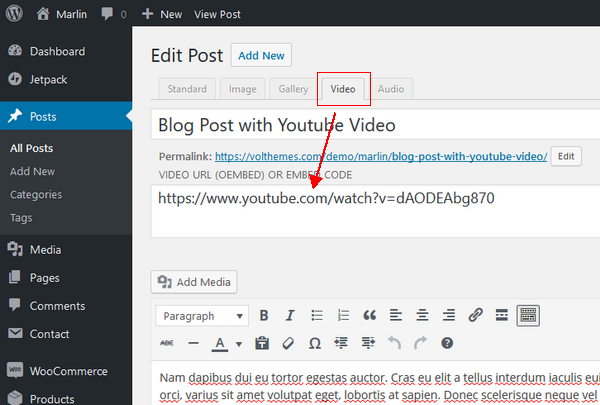 – In the WP Dashboard, Add New Post and select Video tab and enter full video link url or Embed Code under post title. 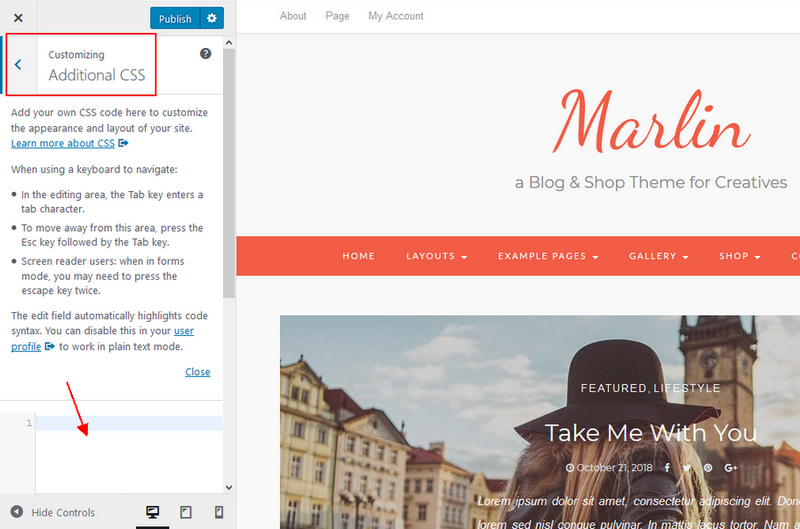 To add a featured image in a WordPress post, simply create a new post and scroll down a little to see if there is a meta box called featured images on the right hand side of the screen. Since marlin version 1.0.2 and as many user feedback, the availability of this theme can create full article without ‘read more’ button or excerpt post. 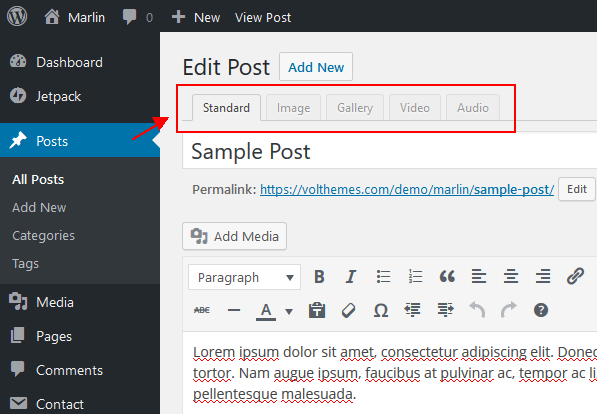 To edit a post that already exists on your site, go to Posts > All Posts in your WordPress dashboard. Click on the title of the post you want to edit in the list provided. 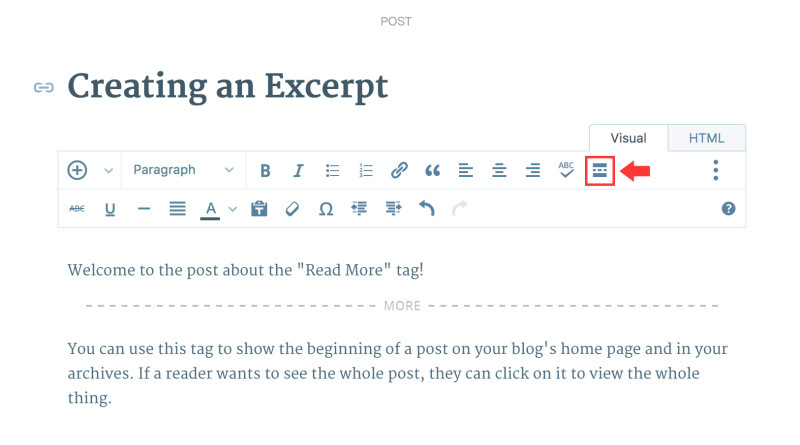 Place your cursor at the spot in the post where you want the More Tag to appear. 3. 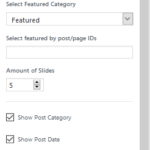 Select a Category you want to display and enter Number of posts to show. *Required “WP Instagram Widget” plugin install. see Activating Plugins section. In the “Appearance Customize Theme Settings Header”, you can upload a custom header. The Customizer tells you the sizes suggested. 6. Save & Publish to apply changes. To make Header Images change randomly, simply click on ‘Randomize uploaded header’ button under recently uploaded images and then save your changes. You can now visit your website and reload it to see header images change randomly. This is example how the author info box looked on our demo site. 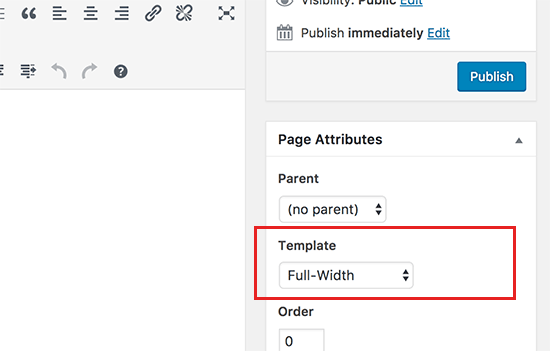 In an empty page you can choose some page template under “Page Attributes –> Template” Full-width ( No Sidebar), Home (Slider/Promobox) or Left Sidebar Page Template. 2. 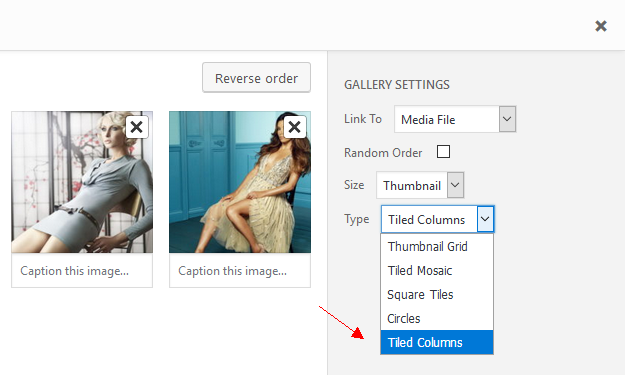 Create a new gallery with the “Tiles” option selected. There also option to Hide Sidebar on HOMEPAGE. so you can make variation like example below. Here you can activate slider that will appear on the Home page. Select Featured Category from Posts. Go To “Appearance Customize Font Settings”, Select section that you want to change Font (Site Title, Site Tagline/ description, Site Fonts, Menu Navigation, etc). 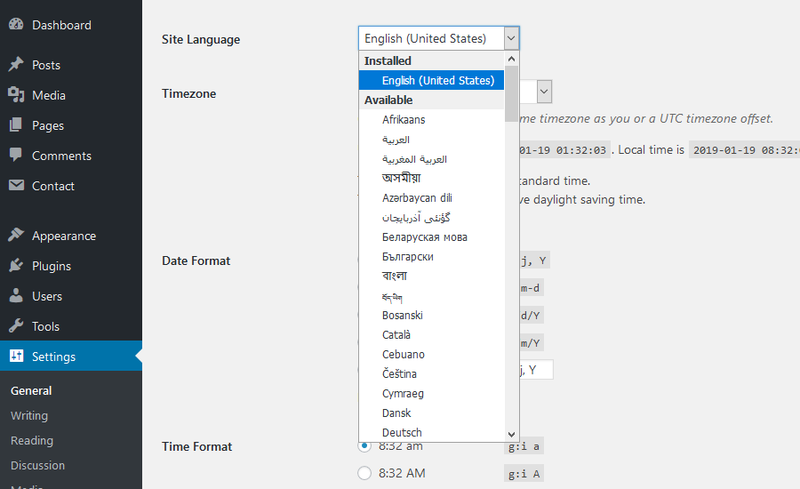 And select the font name from the dropdown menu selector. Important: Not all fonts support every Font-weight, Font Style & Text Transform. You can display social profile, disable “Backtotop Button” and change with the custom Footer Credits text. You don’t need to credit or link us back. Add Custom Code or Scripts in this section. They will be added before < /head> tag. You’ll be able to add you custom CSS if you want. Add any custom css here. It will override the default values. To add additional CSS go to “Appearance Customize Additional CSS” and simply put your CSS here. If you have followed the above mentioned steps of this documentation, you have completed the basic theme setup of Marlin Theme. Now you can start creating amazing content. All of our Product Support is conducted via our Support Forum. Channeling all requests at one place keeps and makes it simple, easier and even more effective for every customers to get quick help. All issues, requests and questions can be discussed and answered at one place. If the above steps didn’t fix your issue please post your ticket at Support Forum. Each of our themes is a final version when offered for sale to you. If you’ve got some issues – we gladly help you out.